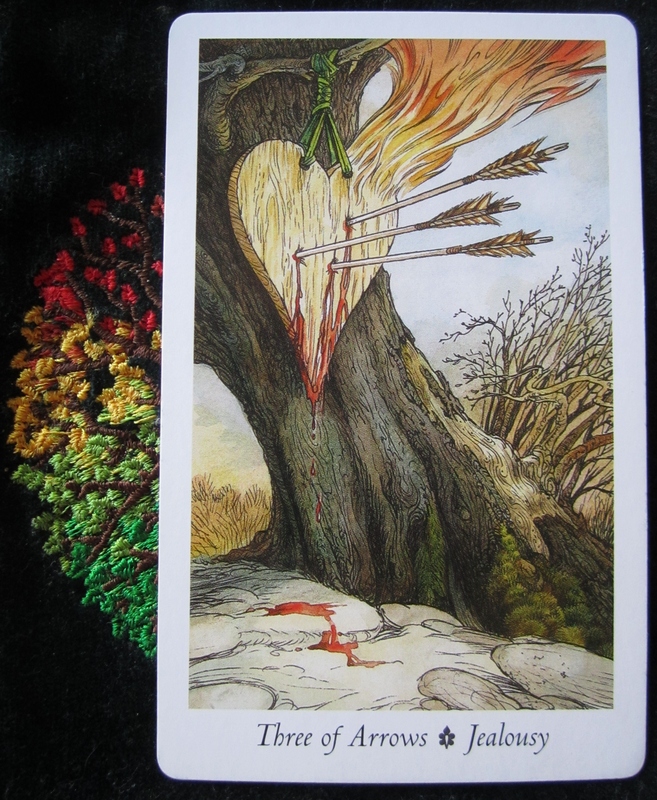 Today as the time for me to retire draws near, I finally find the time to draw a card for today. The card of the day is the Three of Arrows, with the key word of “Jealousy”. I have sat and pondered about this card and its meaning, as I have finally remembered to have a drink. I know what has caused this feeling of detachment, of jealousy, but it would be most impolite and unprofessional of me to list them. However, the situations that have tried my patience and caused some heart-ache for me today, are temporary. These situations always are and whilst I am aware that the world does not revolve around me, I am somewhat annoyed at people taking advantage. So, as I finally relax, I decide to let these emotions go and not burn into me any more, nor to let my heart bleed and ponder “why?” any more. The full moon is now waning, letting these emotions go now is the perfect time to do so. And so I do. Today, if you have any negative, jealous, harmful self thoughts: let them go. You don’t need them, they drag us down. I don’t need them, they hold me back and I am not in the mood to be held back. Are you?